tips and tricks on getting your WiFi connection up and running. 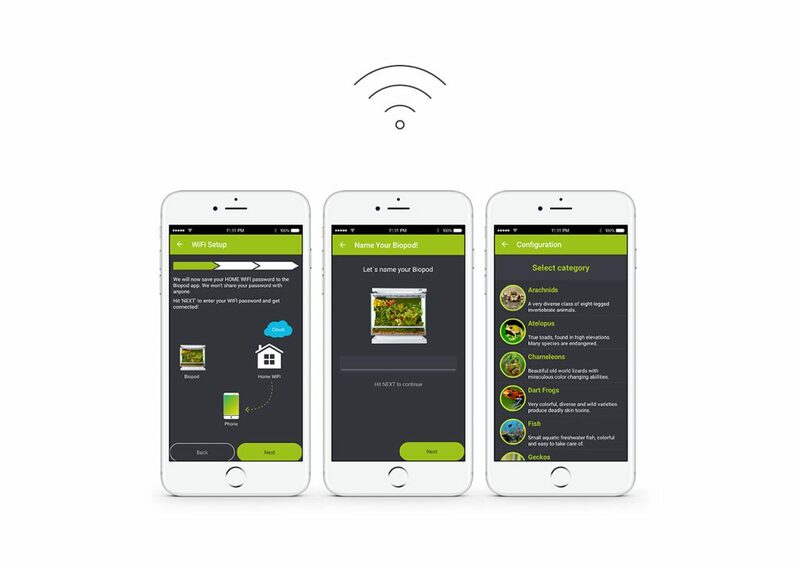 a) your Biopod is within 10 meters of your router, this helps ensure a strong connection between your Biopod and your home WiFi. b) your smartphone is as close as possible to your Biopod for a faster more efficient connection. c) your data on your mobile device is turned off during the connecting process. d) your Biopod app is up to date. If you’re unsure on how to do this, please download our Complete WiFi Setup Guide. e) your Biopod’s firmware is up to date. If you’re unsure on how to do this, please download our Biopod Firmware Update Guide. f) your WiFi network is 2.4 GHz. If you’re unsure on how to check this, please contact your ISP (Internet Service Provider). g) your WiFi security encryption type is WPA2-PSK. Recommended encryption is AES, using TKIP might cause potential issues. If you’re unsure on how to do this, please download the guide here. h) your router is compatible. If you’re unsure please see the list(s) below. i) your cache has been cleared and data has been erased. If you’re unsure on how to do this, please download download the guide here. Rebooting/Resetting your wireless router. Simply turn-off your wireless router, wait 60 seconds and turn it back on. Don’t forget to turn off your data while trying to connect your device to your unit! The following settings can help improve performance of your Biopod to App connection, your Biopod’s camera speed/quality and more! These settings can also resolve any WiFi connection issues you may be experiencing. won’t need to make any of the changes below. Please ensure your network and router are compatible with Biopod. How do I find the type of network I am using? to contact your internet service provider. The second option would be to get access to your router’s configuration settings. Routers: There are a few routers that are not compatible with Biopod products or that may cause issues connecting or performance issues along the way. Find these lists below. How do I find my router’s information/manufacturer? Your router’s brand, model number and information can be found on the router itself. The easiest way to ensure your router is compatible with Biopod as well as how to access the router’s settings would be to download the manual for your router. Typically the manual can be downloaded from the manufacturer’s website. Be sure to download the manual for your router with the correct model number as the manuals may vary. Please ensure to install the latest software updates for your router. The easiest way to know if there are any updates for your router and model number is to visit the manufacturer’s website. Please also double check your router’s manual for any instructions on installation/updates. If you’re having issues connecting your Biopod to your home WiFi or your Biopod app to your unit you may be experiencing some WiFi interference. Walls, floors and ceilings can cause WiFi signal blockages. Appliances and electronics emitting radio frequency can also contribute to a slow internet connection, connectivity issues, slower app performance, slower camera performance or a decrease in quality as well as slower app updates and firmware/software updates.